Beaufort (pronounced BOH-fert, not Bew-fort), situated at 34°43′N 76°39′W, is the third oldest town in North Carolina. Named one of America's Coolest Small Towns by Budget Travel Magazine a few years back, Beaufort has by all accounts maintained the distinction. From exploring downtown Front Street to sailing over the shallow, watery grave of Blackbeard's Revenge, there's enough to do and see to keep you busy as you regroup before your next long haul down the ICW. 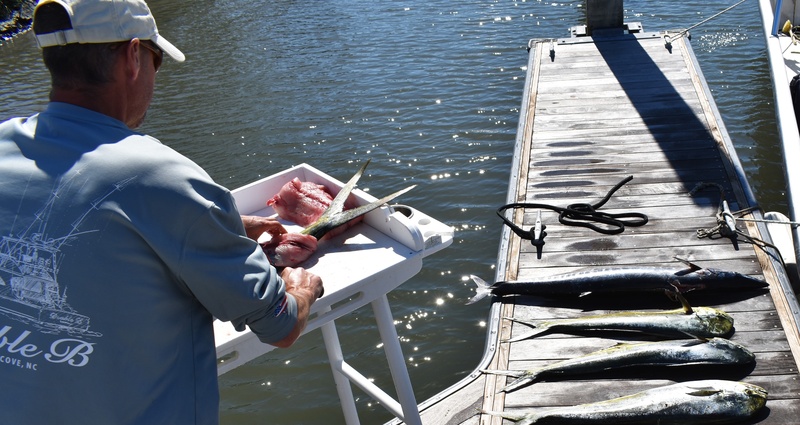 Here are some of our favorite Beaufort activities. 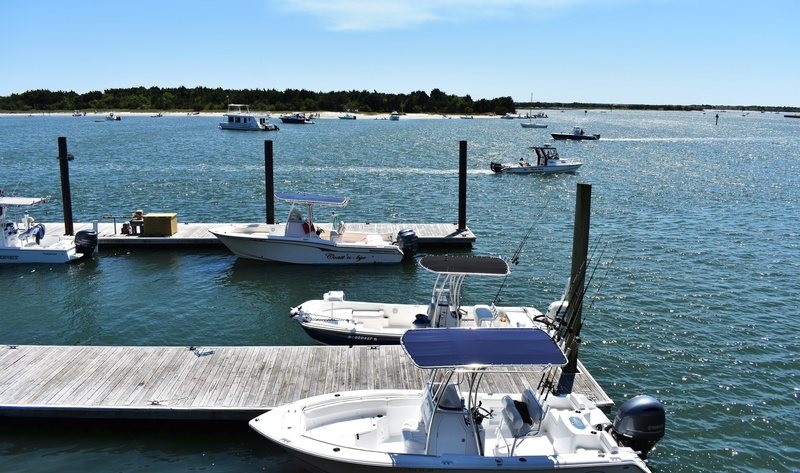 Weighing in with roughly 5,000 souls, Beaufort is a veritable mecca for the thousands of boaters and sailors who make the trek along the Intracoastal Waterway (ICW). 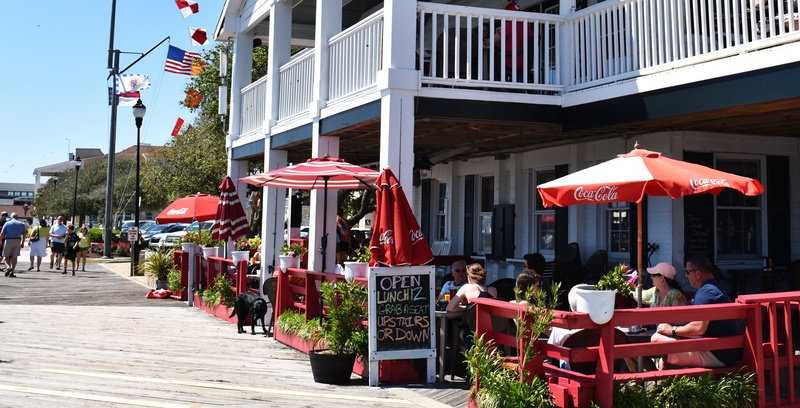 And with good reason: this tiny stopover provides safe harbor, provisioning, repairs, a rich nautical history, and quaint southern charm to boot. Its strategic location (often referred to as the "Gateway to the Caribbean") and mild temperatures make it an attractive place of respite for boaters navigating up and down the east coast. While Taylor Creek is a popular anchorage for cruising boats, the swift current and narrow channel has claimed its fair share of boats – mostly ones that neglected to set a second Bahamian-style anchor to minimize swing. We may be biased, but we recommend Homer Smith's Docks and Marina for your stay. Provisioning in Beaufort is easy with a well-stocked Piggly Wiggly just a few minutes walk away from downtown, a Food Lion a few minutes more beyond it, and the Beaufort Grocery Company serving up sandwiches, salads and seafood dishes. 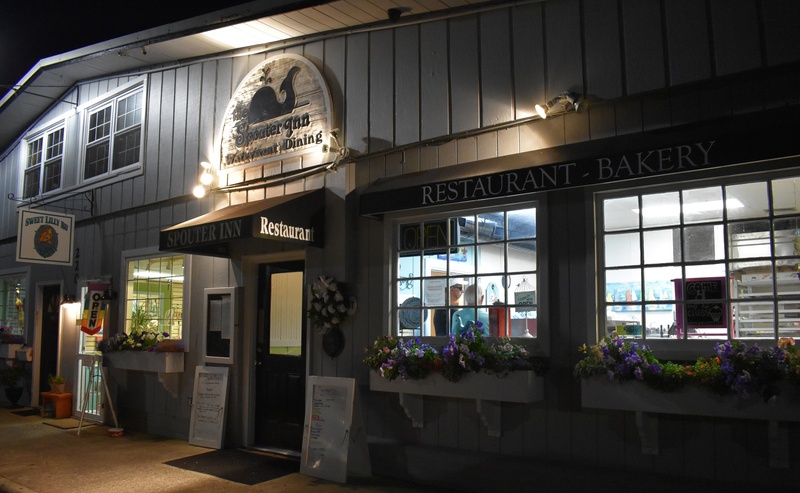 For dinner check out the Blue Moon Bistro, which serves locally caught seafood and a rum cake that can send even the saltiest pirates spinning. Clawson's 1905 on the waterfront is a must-visit. The Spouter Inn is also open for lunch and bakes its bread in-house – de-lish! Beaufort is home to the North Carolina Maritime Museum, which along with rotating educational exhibits, offers permanent exhibits on the local whaling and seafood industries, and on the history of North Carolina's coastal life-saving services. Here's where you can see artifacts – cannons, grenades, the usual – of Blackbeard's Queen Anne's Revenge, and gain more insight into pirate life. The NCMM website claims "There's always something happening at the North Carolina Maritime Museum!" and they don't seem to be overstating it: You can take tours of nearby reserves, learn to fish, or make a wooden stand-up paddleboard. Across the street at the Harvey W. Smith Watercraft Center, you can observe boat-building and restoration projects, and take boat-building or sailing classes. If the weather has you pinned to the docks, cozy up below and read up on Blackbeard's shipwreck, including modern-day efforts to bring Queen Anne's Revenge to shore. In June of 1718 Blackbeard ran his flagship vessel, the Queen Anne's Revenge and his sloop Adventure, aground near present day Beaufort Inlet, North Carolina. While marine archaeologists originally discovered the site in 1995, confirmation that the remains were indeed Queen Anne's Revenge only came in 2011. Read more about the discovery in National Geographic, and click here for more intel on the "Graveyard of the Atlantic." This area is famous for the wild horses, which were introduced to the area via Spanish sailing vessels hundreds of years ago and which still roam free, as dictated by a governmental protection act. Cedar Island Wildlife Refuge sits on the northern end of the southern outer banks, next to the dock for the ferry to the northern outer banks. The quiet secluded beach is great for kiteboarding and windsurfing (for boaters who travel with more adventurous gear) or laying out. Note: If you're boating in the summer, bring bug repellent. The Rachel Carson Coastal Reserve is 2,000 acres comprised of several small islands, including Carrot Island, Town Marsh, Bird Shoal and Horse Island. Pack a snack, water, and bug spray, and hoof it over the boardwalk on Carrot Island to the overlook of Shackleford Banks. Birders be alert: More than 200 species of wild birds join the wild mustangs in calling these protected salt marshes home. Click here for a fun birding checklist! Weather permitting, head out of the inlet and run southeast 6 miles to Cape Lookout National Seashore. Once you're protected from ocean swell and drop anchor, sit back, relax, and take in the white-sand beaches and clear aqua-blue water that surround you. Cape Lookout is undeveloped and is located on a barrier island with no paved roads, hotels or bridges. 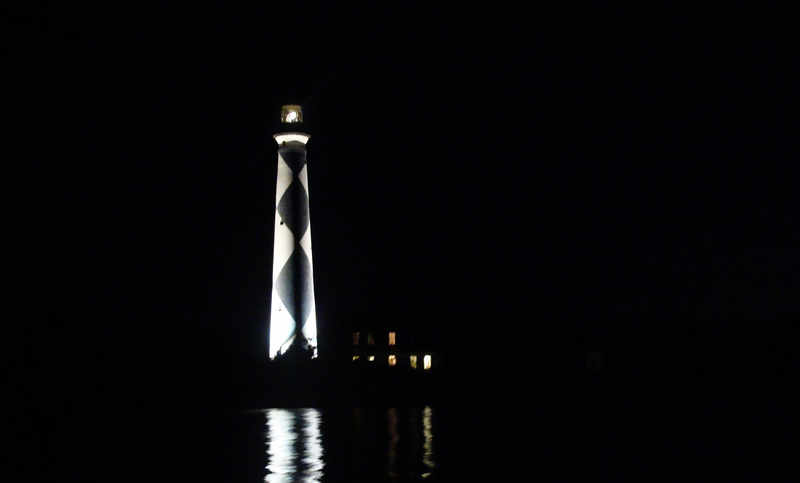 The Cape Lookout Lighthouse, commissioned in 1859, continues to light the way for offshore ships. It is open for climbing from the third week in May to the third weekend in September, and self-guided tours begin every 15 minutes. While here, keep an eye out for loggerhead sea turtles on the pristine beach, and learn about the life of the lighthouse keeper from the park rangers. One of the best things about small coastal towns is the cool nautical history. Be sure to check out Beaufort's Historic District, which encompasses 16 buildings in the oldest section of the town, including the Gibbs House, Jacob Henry House, and Old Burying Ground. Many buildings have been authentically restored, including the old jail, apothecary shop, and courthouse. To experience more of Beaufort’s past, tour the Old Burying Ground, dubbed one of the 100 most romantic places in North Carolina. Complete with moss-covered oaks and weathered tombstones recalling some of the town’s nautical pioneers. You can tour the site on your own with this interactive map listing the history of the departed. This weekend marks the Beaufort Wine and Food’s Inaugural Craft Beer Festival, Beaufort's Brewin', featuring two days of beer-centric events focusing on the North Carolina’s craft brewing scene. Join the crowd downtown for brewing seminars, beer luncheons, and a 5k! On Saturday (9/24) from 2-6PM, a crowd favorite event Beer, Bubbles and BBQ will feature craft beer and fare from around the state, with a BBQ competition capping off the event. There's something for everyone in Beaufort, from fishing tournaments to boatbuilding competitions, and road races to craft shows. Click here for the full year-long lineup of Beaufort events and here for Beaufort Historic Society events. Just 8 miles north as the crow flies from downtown Beaufort, Jarrett Bay Boatworks sits pretty on Core Creek at ICW Mile Marker 198. 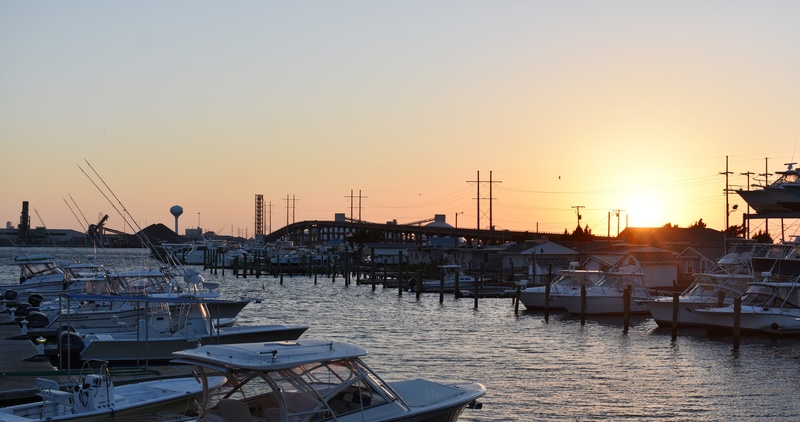 This rockstar marina and shipyard offers a deep-water basin, more than 1,000 feet of floating dock space, on-site fuel pumps, and is one of the best and most complete yacht service centers in the U.S.
"Stopped for diesel on my way south. Best price since Portsmouth VA. Fuel dock has rubber strips on piling so no fenders needed. Dock attendant was knowledgeable, helpful & friendly. Gas without ethanol!!!! I will stop again on my way north." "I have been into a lot of boat yards in my 16 years of cruising but this is by far the best." "You can get anything you want in this area. DIY or have it done, it's all here."